The people of Delhi – at least their rulers — have always been barbarians. 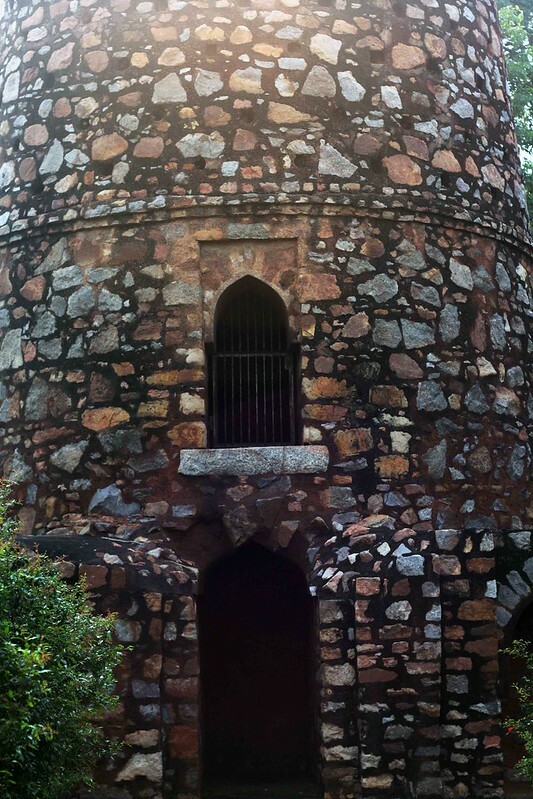 The Chor Minar, meaning ‘the tower of the thief’, served to display the severed heads of alleged criminals. 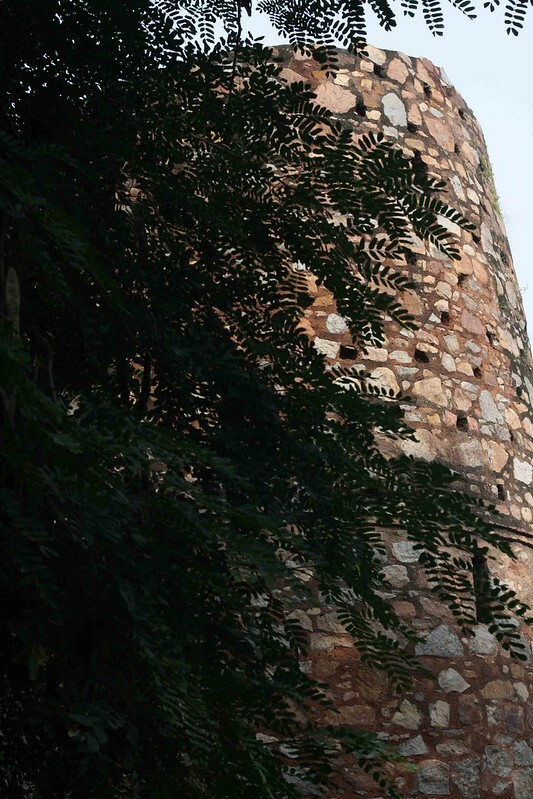 Situated in South Delhi’s upper crust Hauz Khas enclave, the round tower is believed to have come up during the Khijji era (1290–1320). Its thick wall of rubble has 225 circular holes where the heads were put up as exhibits. Today, crows and koels sit in these holes. Squirrels run up and down the tower. A circular garden is landscaped around the structure. This green space doubles up as a traffic roundabout. 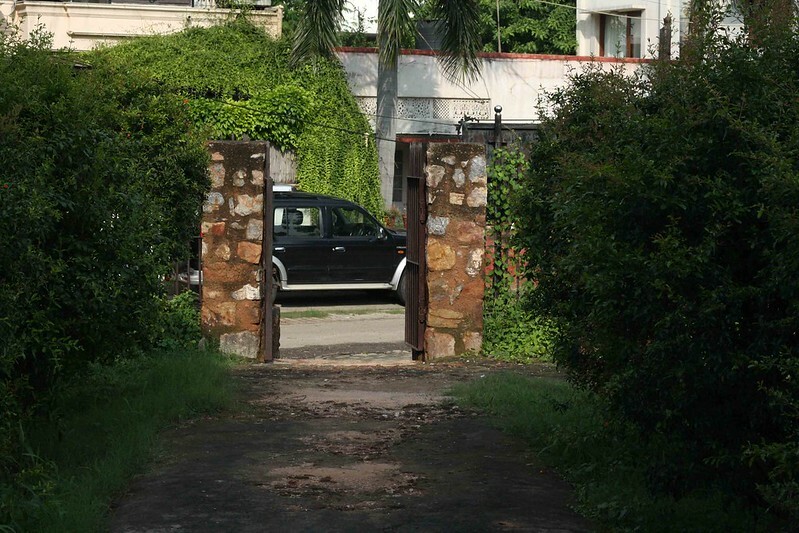 It is surrounded by bungalows — The Delhi Walla can hear the tunes of a yearning violin coming out of a curtained window. The only other sounds are of birds, cars and airplanes. 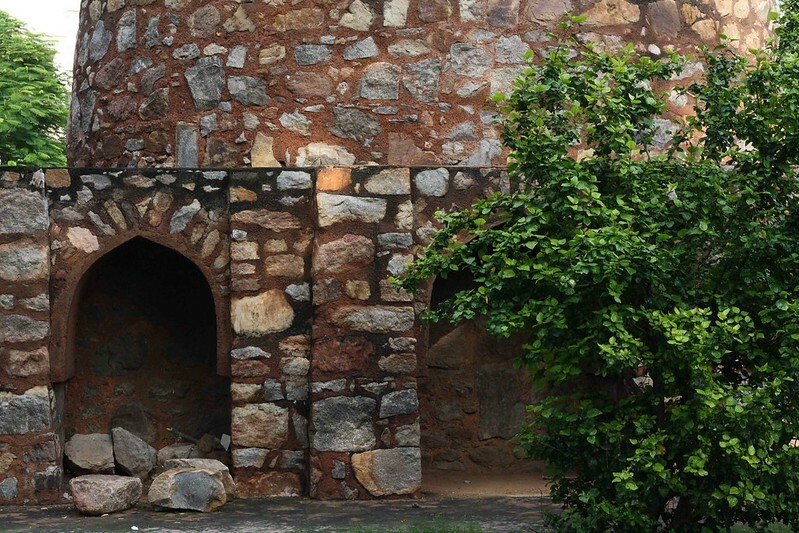 There is a bench, so come with a murder mystery, or a book on Delhi’s horror-filled past. 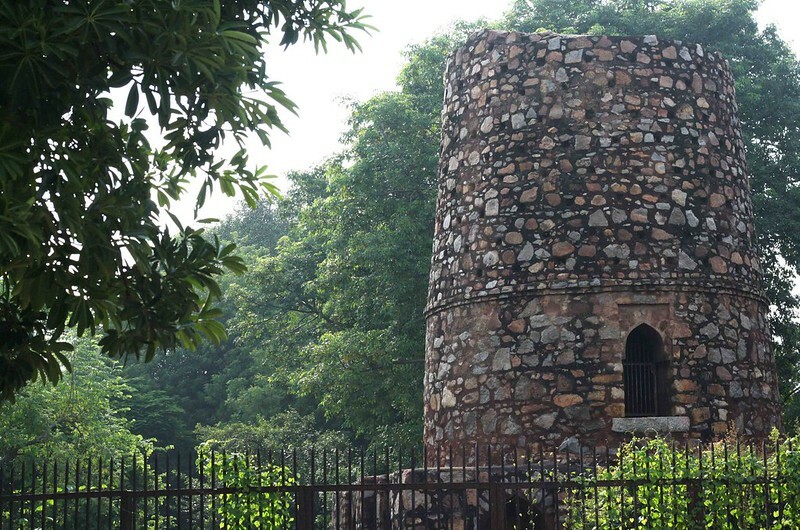 The reign of Ala-ad-din marks the peak of the Delhi Sultanate and is an epoch in the history of the city. Ala-ad-din first dealt with the Mongol menace and checked their incessant frontier raids. 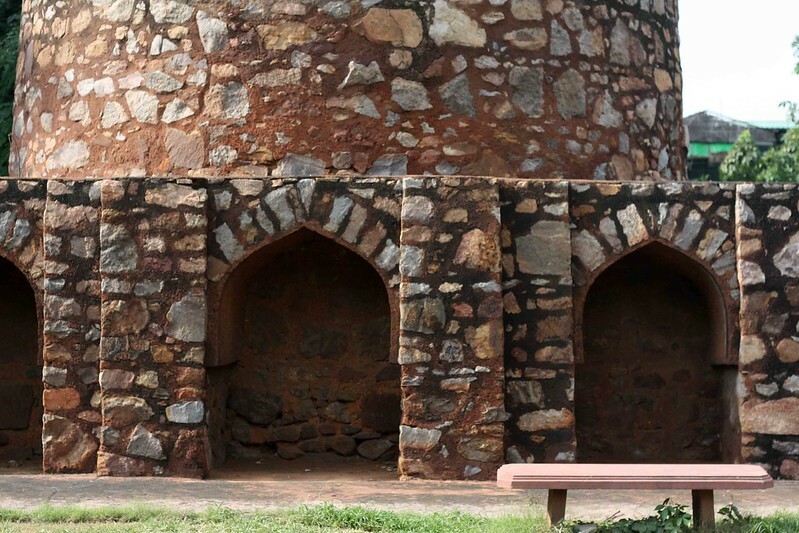 In Delhi itself the Mongol colony which had grown up during the previous century was massacred, and the heads of the victims were displayed upon pikes fixed in a tower outside the city. 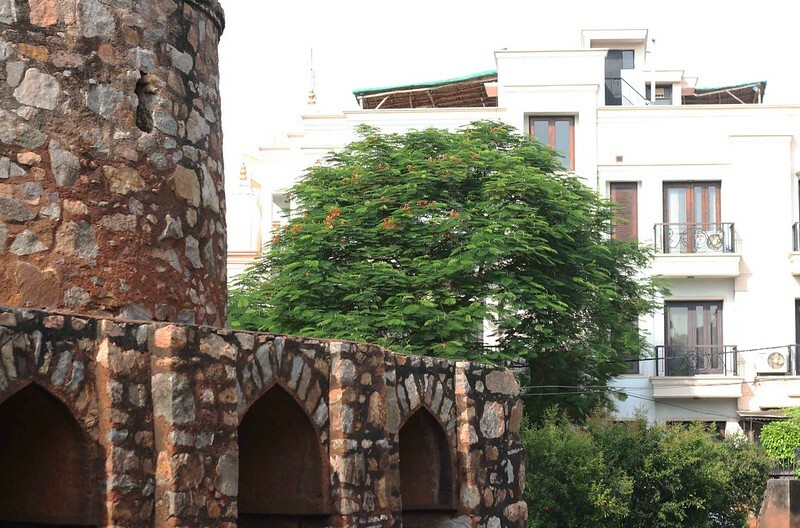 It is possible that the Chor Minar, a half ruined tower to the left of the Delhi-Qutub road, about two miles from the Qutub, is the tower of this tragedy. The entry to the tower’s spiral staircase is locked but you may hear the chee-chee sound of bats inside. 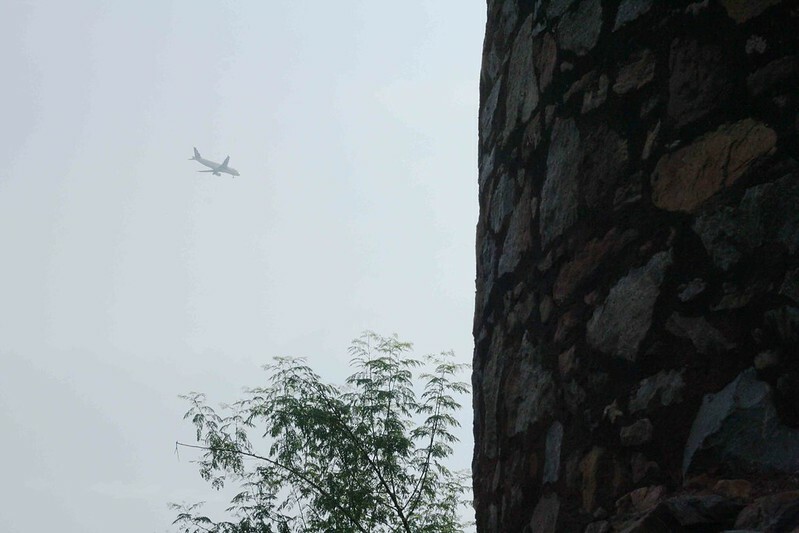 Don’t fail to look at the tower from outside the garden. You would feel that its top, too, was lopped off. Such is our heritage. BTW, I wonder how did they hang heads of pikes. Holes are large enough to pass a pike through but not the severed heads, mostly likely pikes were passed through the holes from the inside and then heads were hanged from the outside? And what happened to the top/roof of the tower? Could be headless ghost, could be torso-less ghost, depending on where the soul resides. 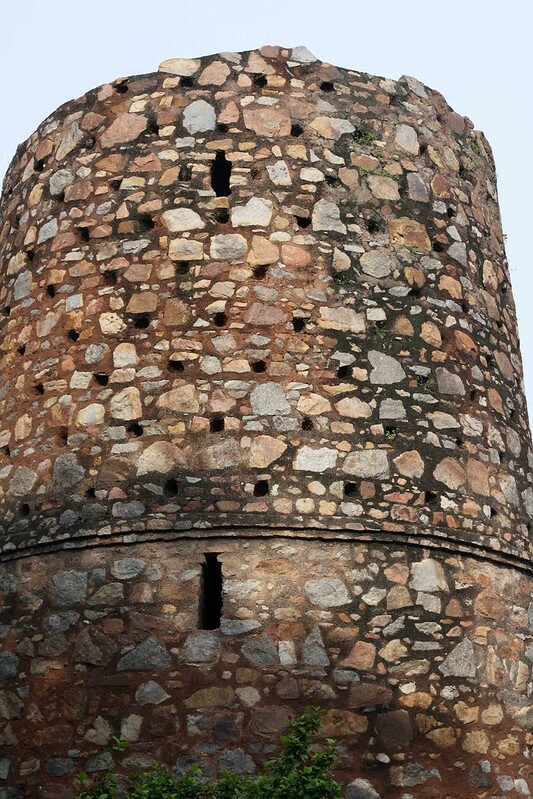 As for the holes, they probably put up all the heads when the tower was built, and thereafter they didn’t put any more. After all, the entire collection of heads came from one massacre and it wasn’t an ongoing operation. So they wouldn’t have fresh heads to keep putting up on pikes all the time.